For cleaning the exhaust gas recirculation valve. 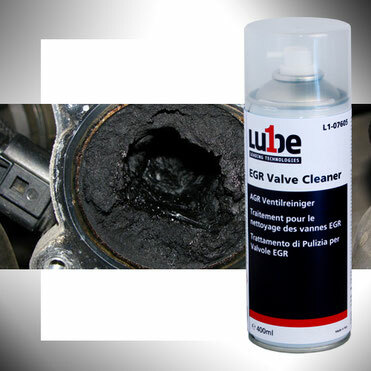 Thanks to the special chemical formulation and the nanotechnology used, the Lube1 EGR Valve Cleaner reliably and quickly cleans the EGR valve from combustion residues, tar, coking and other impurities. Also cleans wires. With convenient probe to reach the valve's inner parts easily.